Ubiquinol, the more bioavailable form of CoQ10, is involved in energy production and known for protecting the heart. CoQ10 or Ubiquinol are important supplements to take if taking a statin since they are known to deplete your body of this important nutrient. There are two types of Coenzyme Q10 supplements: ubiquinol and ubiquinone (CoQ10). Ubiquinol is the more active form. As we age, our ability to convert ubiquinone (CoQ10) supplements into the more active form (Ubiquinol) is lessened, which is why it's usually recommended to take Ubiquiniol. Ubiquinol has been shown to have positive effects on the body's ability to maintain a balanced inflammatory response. Studies have shown it helps support a healthy heart and vascular system and can assist the body in producing cellular energy to reduce damage from free radicals. 1. Langsjoen PH, Langsjoen AM. Supplemental ubiquinol in patients with advanced congestive heart failure. Biofactors. 2008;32(1-4):119-28. 2. Ernster L, Forsmark-andrée P. Ubiquinol: an endogenous antioxidant in aerobic organisms. Clin Investig. 1993;71(8 Suppl):S60-5. 3. Tabrizi R, Akbari M, Sharifi N, et al. The Effects of Coenzyme Q10 Supplementation on Blood Pressures Among Patients with Metabolic Diseases: A Systematic Review and Meta-analysis of Randomized Controlled Trials. High Blood Press Cardiovasc Prev. 2018;25(1):41-50. 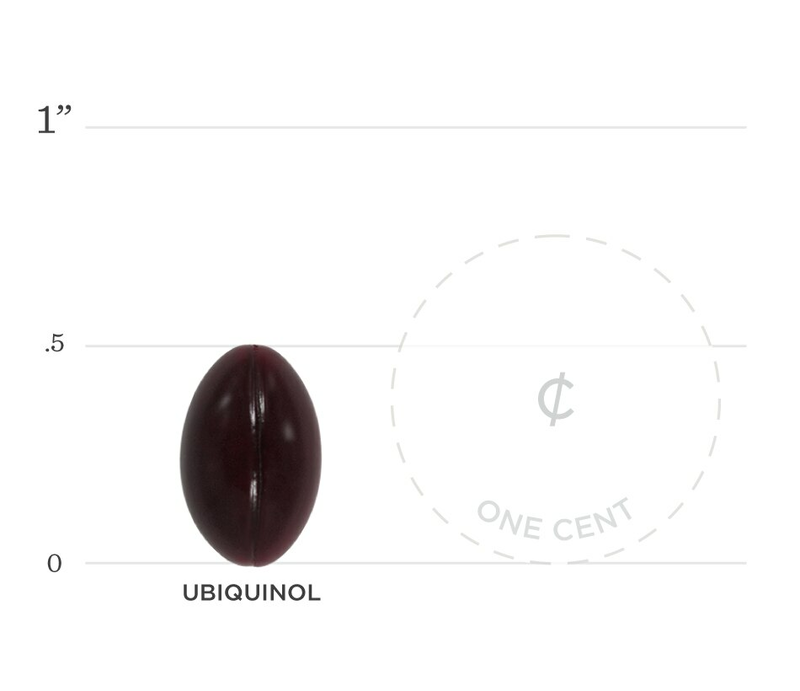 Below we've broken down the main functions of our Ubiquinol and the benefits it can provide. 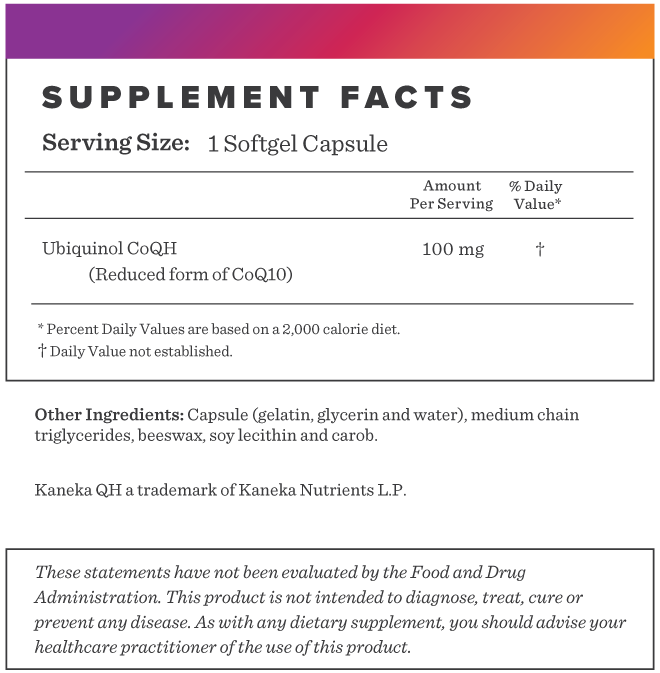 Ubiquinol is a highly potent supplement that has shown improvements in plasma CoQ10 levels. Ubiquinol is known as a lipid soluble antioxidant that may slow the cellular defense against oxidative damage. Studies have shown that Ubiquinol supplementation may result in reduction of systolic blood pressure among patients with metabolic conditions.